A transformational journey with the ancient ancestral sounds of some of the most resonant, tone producing instruments known. 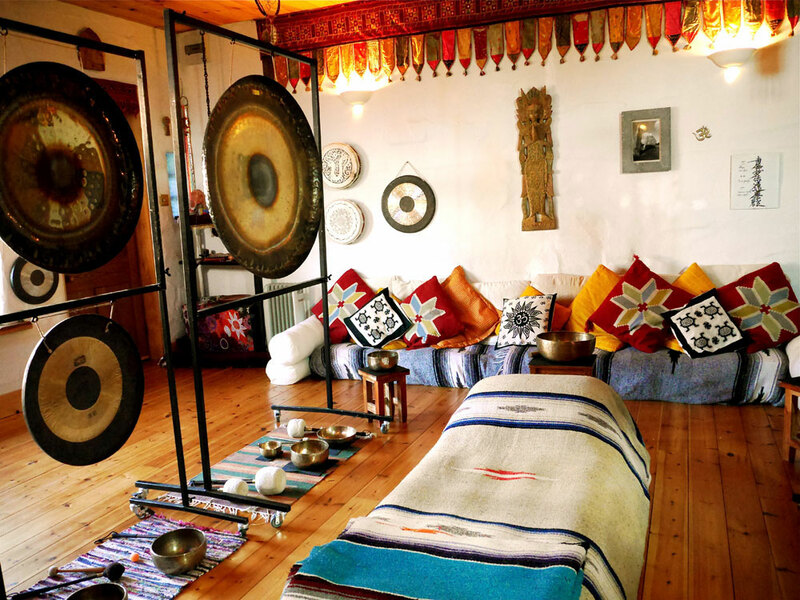 Feel the cosmic, vibrational tones and overtones of the gong deep within the cells of the body…….ride on the sound waves of the Himalayan singing bowls and the haunting sound of the Native American flutes which transcend time and space. Feel the heart-connecting resonance of the shamanic drum and the deep primal energy of the tribal ritual drum…. drift into your dreamtime with the deep, earthy drone of the didgeridoo…and other ancient instruments as they bathe you in subliminal sound. Sound Baths assist in clearing old traumas, blocks and patterns that no longer serve you, bringing your whole being to a higher frequency much nearer to you true state or blueprint. Everything in your life flows more freely as the ‘stuckness’ is freed bringing you into balance. 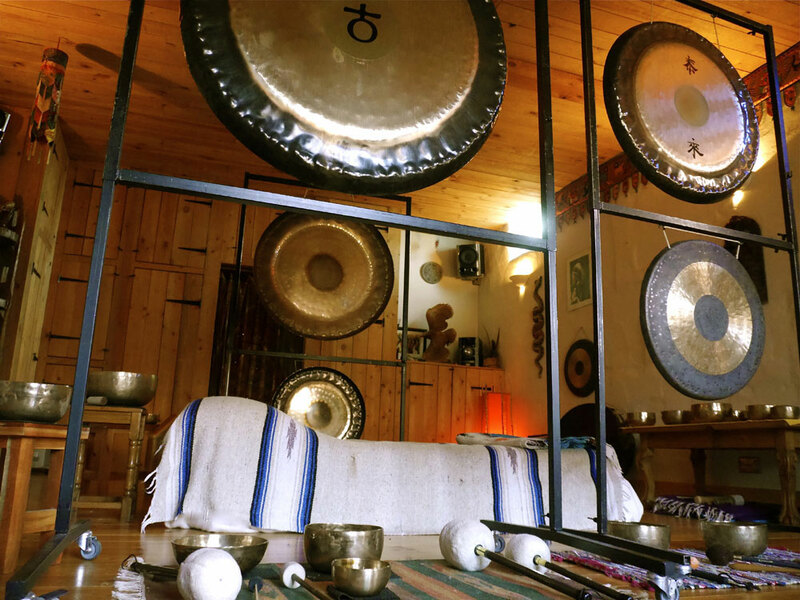 Human beings in the fullness of health are like the gong……fully resonant….the more resonant we are, the more alive we are, resulting in happy and abundant lives…….. 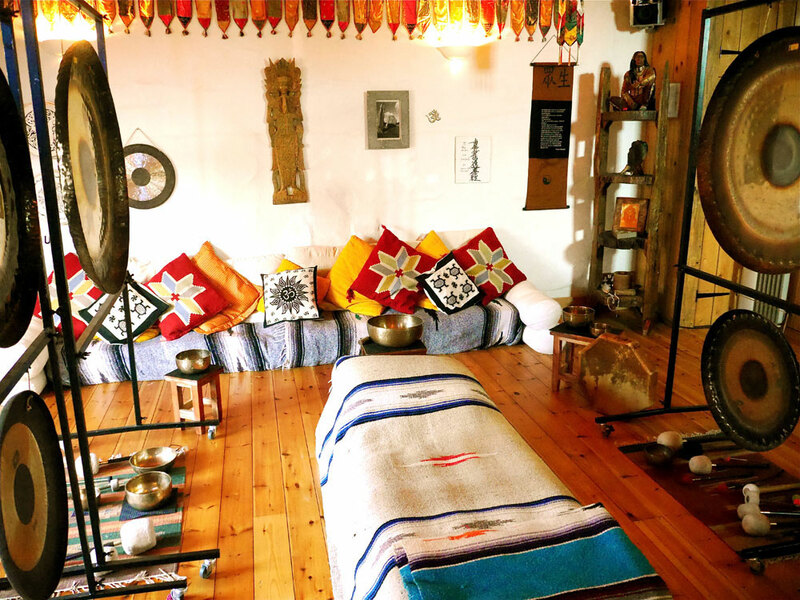 It is our intention through these sound baths to create a deeply relaxing, nurturing and safe environment allowing you to ‘let go’ and have a thoroughly freeing and cleansing experience on all levels…. What happens in a soundbath? A padded air bed is set out for each person including blankets and cushions. You then just lie down, cover yourself in a blanket, or some people like to bring a sleeping bag and wrap themselves up in it like a butterfly in its cocoon. All you need to do now is relax, let go and wait for your whole body to be bathed in subliminal sounds.  These sacred instruments, that are played intuitively and inspirationally, have been used since ancient times with their specific frequencies and vibrations. They assist in removing stagnant energy/blockages and old traumas – like a sonic massage. They help induce a deep state of relaxation and bring you a feeling of upliftment…. sometimes energising and sometimes a sense of stillness that can remain for many days and sometimes weeks after. It is like a piano being tuned up…. your physical and subtle bodies sense within the sounds the frequencies they need to be resonating at and strive to reach those frequencies through a cleansing and shift of energy to release stagnant blocks and return your energy balance to a more optimal level. Although you may feel you have gone to sleep you have usually just allowed yourself to surrender into a perceptive but very deep relaxation that is better than a whole night’s sleep. 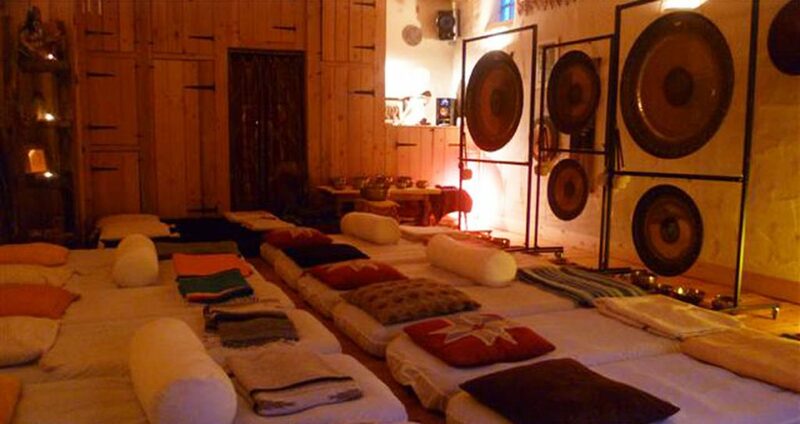 The sound bath is often described as being ‘awake within a dream’. There will be a time of silence at the end for you to just allow the sonic waves to continue processing the work that has been done. You will have plenty of time to slowly come to as and when you feel ready. 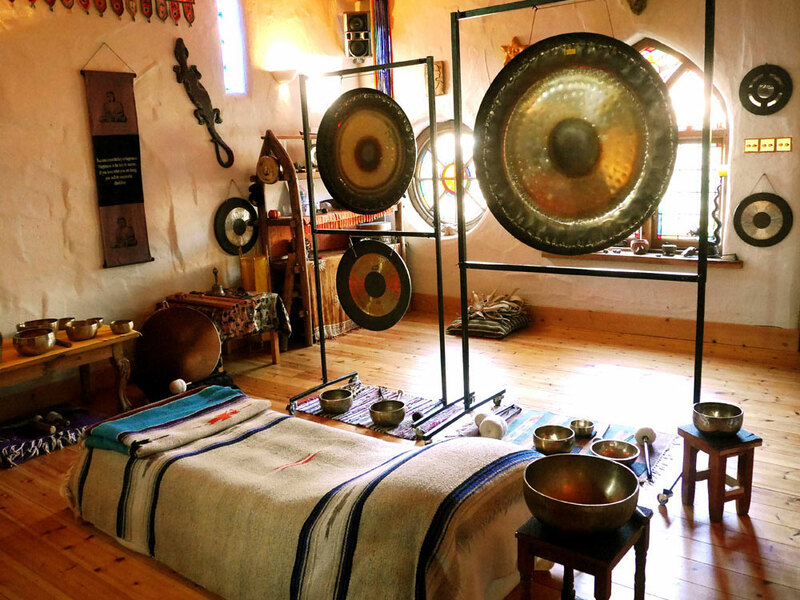 A sound bath is a very unique experience for everyone – hence difficult to describe. 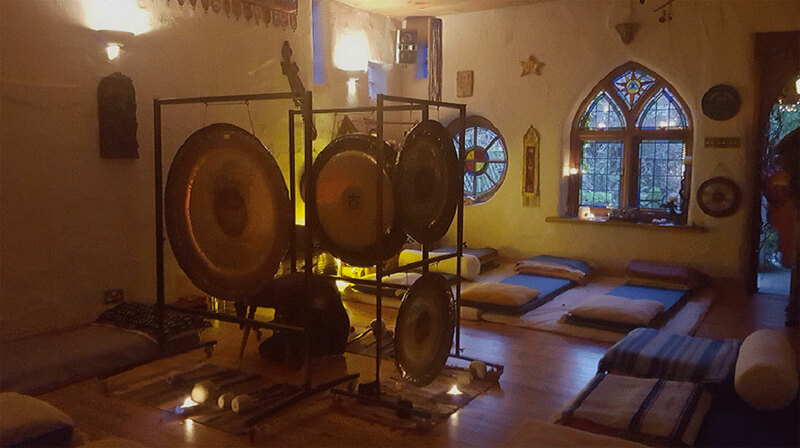 Each person’s experience is very individual and no matter how many you have… every sound bath is different as it is created in the moment with the energies that are present at the time. We encourage you to stay for refreshments allowing time for you to come gently back to a ‘normal’ state of awareness for your journey home. or call/text 07460 492 000 to check there are still places available. or call/text 07460 492 000 to book. One on one sound baths have the added benefit of me being able to work intuitively with your own specific energy. This session will begin with dowsing your whole energetic field to establish where and what we need to work with. An intention is then set which opens the doors to intuitive play specifically working with the most relevant shifts needed to be made at that time. There will be an opportunity to discuss your experiences at the end of the session. These sessions can be for done for 2/3 people or small groups, please contact us for details. An All Night Gong Puja’ is a very rare, unique and most profound, deep healing experience. 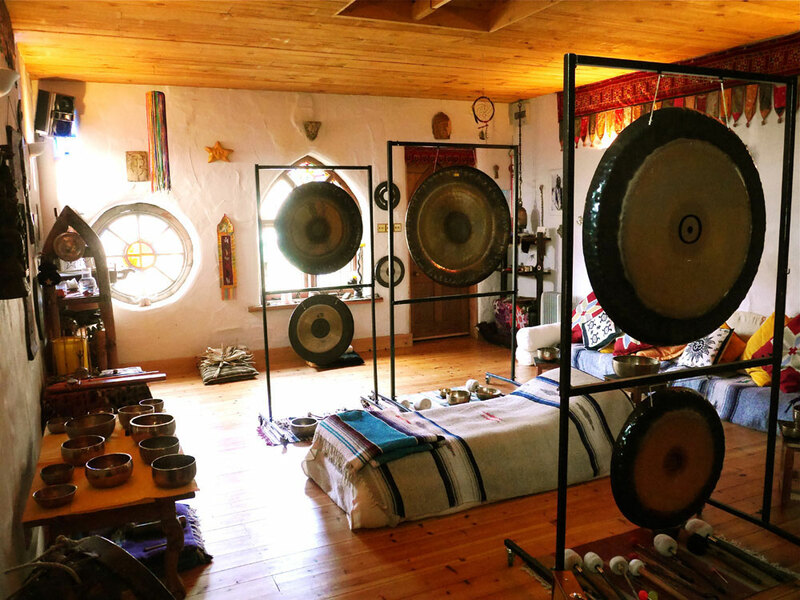 You will be immersed in deeply resonant healing gong tones and frequencies for a total of 540 minutes (9 hours) Number 9 is considered to be the number of completion and cosmic consciousness, and is also known as the number of the gong. 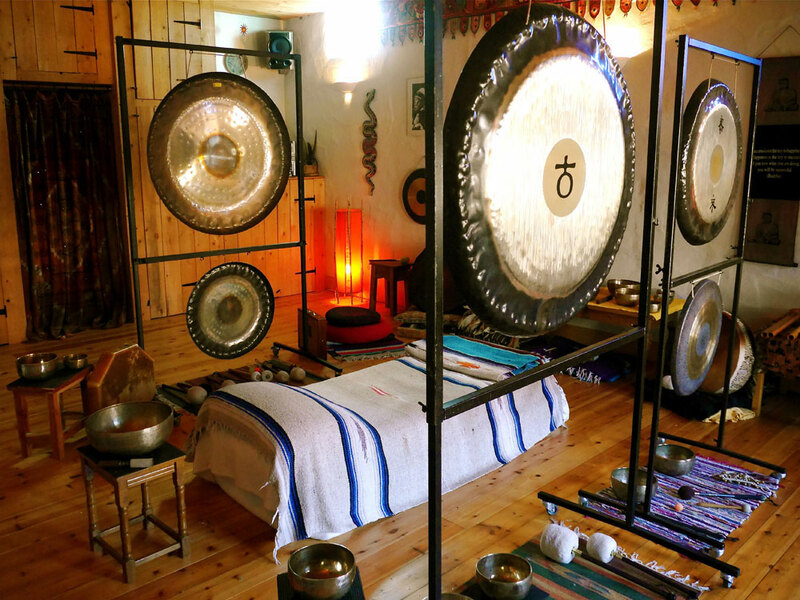 During this gong sleep the ego is in suspension allowing the intuitive higher self to operate without interference for such an extended period of time resulting in the possibility for deep healing and self realisation to occur……. The ‘All Night Gong Puja’ is a most powerful experience and healing opportunity not to missed if you are truly seeking to keep releasing the old and become the most resonant you can possibly be……. Arrival and introduction to the ‘All Night Gong Puja’ followed by the creation of an altar for the Puja together (details about this on booking) then settle into your place for the evening. The ‘All Night Gong Puja’ begins……. Specific details will be given on booking but if you have any questions please get in touch.